Caring for an elderly parent is the new reality for adult children. However, placing a parent who suffers from Alzheimer’s or Parkinson’s disease in a nursing home is out of the question for many people. Instead, they choose to take on the roles of nurses and specialize in home support care for dementia and Alzheimers. In addition to learning everything, you can learn about Alzheimer’s, learn how to provide successful daily medical care at home. Here are 5 tips to help caretakers understand and provide the best form of dementia care. Use mind exercises to maintain the mental health of anyone suffering from dementia. Find games that are entertaining enough for other family members and friends to enjoy for hours. When many people play the same game, the person with dementia seems less like a victim. You cannot improve someone’s health without monitoring the progress of your Alzheimer’s care. Take note of any positive and negative event that occurs, whether it involves good memory or poor eye-to-hand coordination. Create a chart with daily, weekly, monthly and yearly reports, and discuss the results regularly. Many people with dementia want to live normally and be treated like everyone else. Avoid bringing up words like “mental illness” or “mentally ill.” Part of effective home support care is psychological, so treat them more like friends than hospital patients. Most parents encourage their kids to become independent and live on their own, and parents with dementia want the same ideals for themselves. As a caretaker, remember that anyone’s process toward independence is a gradual one, whether it involves driving, paying bills or eating on one’s own. Keeping close track of their progress is necessary to hand them more independence as they improve. Most problems occur between family members because there is little to no communication. Emergencies are too real for anyone who receives or administers Alzheimer’s care at home. Sometimes, sick people think they can handle their medical problems, but realize that they cannot until it’s too late. For immediate contacts, everyone living in the house should share email addresses and phone numbers with one other. 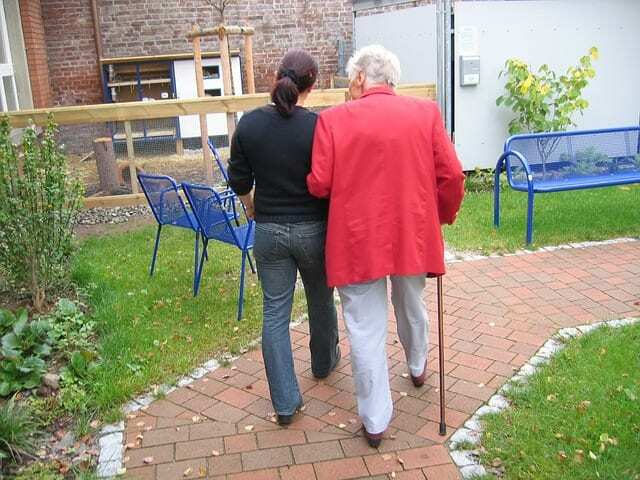 Dementia care in the home is supposed to be more comfortable and compassionate than care in a hospital or nursing home. As the caretaker, allow room for progress so that he or she becomes more independent and prosperous in the future. If caring for your loved one becomes too much to do on your own, professional Alzheimer’s and/or Dementia home care options are available that allow you to have your family member still at home while receiving the best possible care available to them. For more information on Home Care for Dementia and Alzheimer’s, contact Age In Place Home Care to discuss the options available to you at (888) 990-4555.